After Andrew Slorance fell from a tree and became a paraplegic at the age of 14, he realized just how primitive and “horrible” wheelchairs are. He spent 20 years envisioning the perfect chair, and eventually he designed the stunning Carbon Black. Slorance’s design remakes the traditional wheelchair from a stifling metal device to a sleek, gorgeous, minimalist vehicle. Carbon Black is a monocoque design with an integrated chair rather than a separate frame and seat. Made of carbon fiber, the Carbon Black is exceptionally lightweight and strong. 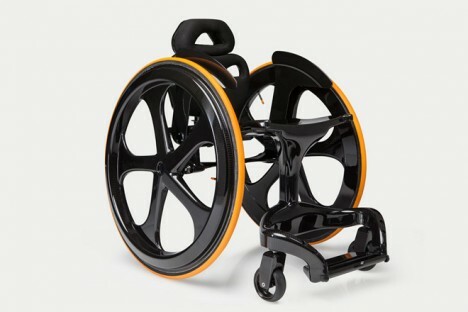 The team behind the design also believes that it is the easiest manual wheelchair in the world to push thanks to its impressive strength to weight ratio. Pulling apart a standard wheelchair for transport can involve fabric snags, oil stains, and heavy, unwieldy components. The Carbon Black was designed to be simple to transport and has an oil-free design to keep your hands and car upholstery clean. The heaviest component weighs less than eight pounds, making the Carbon Black one of the easiest wheelchairs to independently transfer. 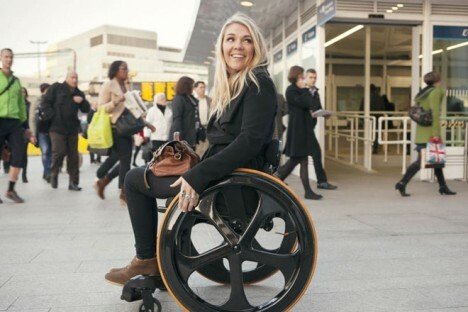 Clothes guards, optional LED lighting system, and fabrics that don’t retain water all make the Carbon Black a wheelchair that focuses more on the user experience and less on the chair itself. It can be built to custom measurements with unique features that help it blend seamlessly into a user’s life without the intrusiveness of a standard chair. See more in Mods & Custom or under Transportation. February, 2015.